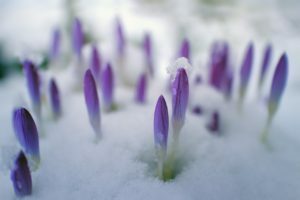 The thermometer and the calendar may still say winter, but it's never too early to start thinking about spring. If you wait until the weather warms up you may miss your chance to get some major organizing done around the house. Admit it, when the days are warm and sunny you don't want to be stuck inside cleaning out your closet. You want to get out there and enjoy the beautiful weather. We don't blame you. That's why today we're here with some tips on how you can use Stockpile easy home inventory system to jump start your spring cleaning. It doesn't matter where you start, you just need to pick a place. We recommend starting small. If you choose a room that isn't too packed with stuff you can easily get it done in an afternoon. It's always good to get that first feeling of accomplishment quickly. It will really motivate you to continue. Especially when you see what a difference implementing Stockpile can make! Got a room in mind? Great! Before you just start creating item records though it's a good idea to have a plan. If the room you've chosen is very organized then you probably can just jump right in. On the other hand, if it could use some purging and some reorganization start with that first. You'll want to clean out the clutter and organize what remains before you start creating your Stockpile data. Make sure that you have the items where you want them before you sit down at the computer. 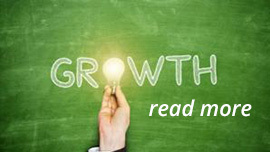 Creating item records is simple but the system is only as good as the data that you put in. Stockpile easy home inventory system allows you to input both locations and areas so that you can be very specific about where items are stored. Take advantage of this. If you just give a vague description of where to find something you'll have a vague idea of where to look the next time you need it. If you want to be able to locate items with ease you need an accurate accounting of where it is. Stockpile is fully customizable. That doesn't just mean that you choose which fields to include in item records. It means that you can create the fields you need to capture the information you want. 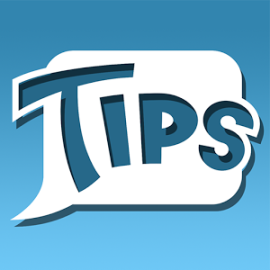 The more detailed your descriptions, the more info you'll have at fingertips later. Want to know what color, size, style, brand, etc. You can include all that info and more. Are you a visual person? You can have a photo too. You can also include warranty information and where to get spare parts when you need them. Imagine being able to easily look up all that info on your mobile device? Stockpile makes it easy. Stockpile is free to use, which means it's free to share. Teach everyone in your home how to use Stockpile easy home inventory system and they may actually be able to find things on their own! Plus, you can tell your friends and neighbors so that they can organize their lives as well. You're probably going want some company when you're out there enjoying that great spring weather. Stockpile is the small business inventory management solution that you need to organize your home. It's so easy to use and provides so many benefits that the only question you'll have is why you waited so long to give it a try. Don't wait any longer. 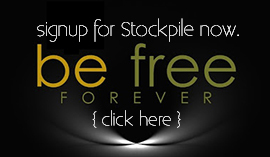 Start using Stockpile today!